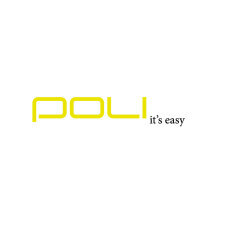 ,Poli’ company has been in the market since 1982. We are a producer of plastic packagings and furniture accessories made using termoforming method. Our offer includes products destinated for many branches: cosmetic, food, farmaceutical, electronic, technical and furniture industries. Our products cater for individual needs of our customers. The company is equipped with its own design studio and tooling shop which lets us fulfill the most demanding needs of our customers. Our packagings are created in a mutual process of designing our clients' ideas with the use of our knowledge, experience and technology. We offer a complete service, starting with creating new projects and proposing different technical solutions to the delivery of finished products.